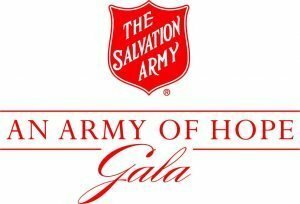 The Salvation Army’s Annual “Army of Hope” Gala helps support the work of The Salvation Army in the Kanawha Valley. The event will be held at the Charleston Coliseum and Convention Center ballroom. Tickets include formal sit down dinner, silent and live auctions, Daya Harris Charleston BGC Youth of the Year, and music by DJ Coach Kidd. The event is scheduled for Thursday, May 16, 2019 beginning at 6:00 p.m. Secure your tickets by clicking here. If you would like more information on this event, please contact us at (304) 343-4548 extension 1118. Come out and support a great organization that has been helping people in the Kanawha Valley for over 100 years!